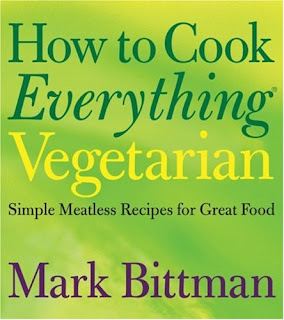 Here's an obvious criticism of Mark Bittman to balance out my rapturous review of this book: He's a know-it-all and -- surprise! -- doesn't actually know it all. 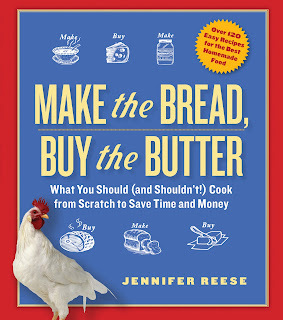 The more specialized cookbooks you own, the less useful you'll find his work. For instance, if you want to make some snappy little crackers, Bittman supplies a serviceable recipe -- but you'll have better results with a dedicated baking book. Ditto for bread. And if you're planning an Indian banquet, he can help -- but his recipes won't be as delicious or varied as what you'll get from a volume with the words Bombay or Calcutta or Krishna in the title. -Fresh cheese, spinach and yogurt (saag paneer). The homemade cheese was too dense and chewy. I've cross-referenced with Julie Sahni and hold theories as to why. Anyone truly interested can email me and I will reply at technical, didactic length. Also, the flavors in the spinach were off and Bittman has you create what amounts to a roux, which left a grainy brown film on the greens. Did I do something wrong? Maybe, but I was just following directions. -Flaky Indian bread (paratha). I don't know where in his concise instructions Bittman errs, but I've made better flatbreads. Perhaps it's the concision that is the problem? These quasi tortillas were popular, but only because people love a homemade bread, however tough and drab and unflaky. -Pineapple chutney. Juicy, hot, delelctable, tangy. Get your mind out of the gutter, people, I'm talking about a relish. Sheesh. Actually, I don't have any complaints about this. A yummy condiment I'd make again, unlike the rest of the meal. Conclusion: Everything would have been better if I'd turned to Julie Sahni or Madhur Jaffrey or Niloufer Ichaporia King. I know this because it has been better. BUT. . . I have rarely made anything quite so strange and magical as Bittman's honey sorbet, which we ate for dessert. More on this mysterious dish to follow. Yet, despite the fact that on occasion consumers undertake get legitimate diamonds during those sites, identifying or simply replica chanel rediscovering sacrificed secrets together with friends and family heirlooms, or simply, on occasion, basically becoming grateful, those pieces happen to be worthwhile since they're tremendously small. The odds of using an individual not recognizing about that happen to be narrow that will zero for perfect. For us, reselling a good tag heuer replica uk see for sale might be a complete distruction. It is actually usually intimated regarding sale truth of the matter illustrates which include Monetize any Attic or simply Great deal Find the fact that reselling minor possessions for several one hundred or simply a multitude of or simply several is certainly wonderfully possible, however , it doesn't require rolex replica uk under consideration the charges associated, or simply irrespective of whether some sort of sale stands out as the ideal spot for their shop for or simply provide. To start ,, you can find any showing service charge. When you need some sort of sale place to dispose of an individual's equipment, it is important to pay off the criminals to do it right. Consequently you can find any Vendor's " transaction fee ". Right here is the " transaction fee ", influenced by iwc replica uk any selling price, that your Sale place calls for meant for reselling the thing (for instance, a watch) and this could vary with a fine, decreased, 8%, towards a startlingly huge 20% within the comprehensive great deals expense. After this you pay off VAT regarding the fact that " transaction fee ". Since you can easily look at, auctioning whatever mainly provides for several one hundred excess weight from the get go will very seriously actually eat at bay within the revenue the user gets. Thank you for inventing a way to cook vegetarian food.